Q. Which printer does my laptop print to? 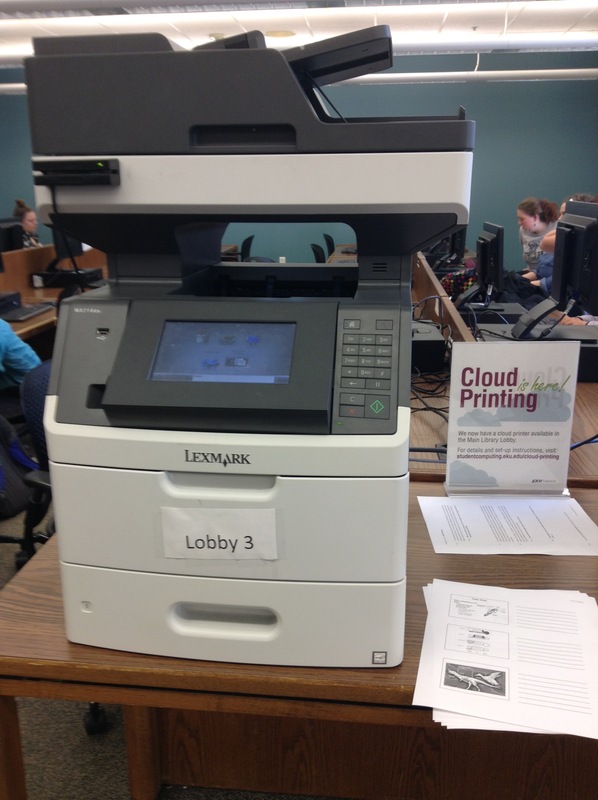 If you print from the cloud printer app on your laptop, it will be sent to the cloud printer in the second floor computer lab. Visit http://it.eku.edu/support/cloud-printing for more information on setting your computer up for cloud printing. If you are using a laptop that you checked out from the library you can direct the print to go to printers located on either the 1st, 2nd or 3rd floor, depending on your location in the Library.